A distinctive blend of food, art and culture. Tamayo Restaurant, a Los Angeles cultural landmark, is TELACU’s contribution to celebrating the rich heritage of California’s Latino community. 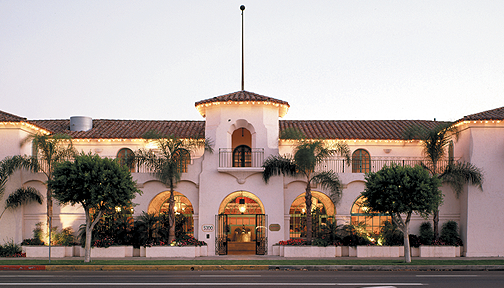 Built in 1928, this masterpiece of Spanish-style architecture was acquired by TELACU in the 1980s and carefully restored to its original magnificence. Named for the internationally renowned artist Rufino Tamayo, the restaurant proudly displays a stunning collection of his art. A fabulous menu combining traditional and contemporary Mexican cuisine completes a truly unique dining experience for all tastes. Tamayo Restaurant was created to be a gathering place for our entire community. Our commitment remains to serve both the local business person as well as the local family with a menu selection that supports every budget. Our professional staff is equally committed to providing the highest level of service for every special event hosted at Tamayo, whether it is a quinceañera celebration or a civic fundraiser. Tamayo Restaurant stands as a symbol of TELACU’s dedication to excellence in the renewal and revival of communities. On a cold and misty morning in 1984, TELACU President and CEO David C. Lizárraga looked out of his office window and saw a wrecking crew arrive at the building on the southwest corner of Olympic and Goodrich Boulevards. Concerned that the imposing 1928 Spanish-style architectural landmark had been slated for destruction, he quickly ran across the street and discovered that the only way it could be saved was through acquisition. With the desire that the entire community have opportunity to enjoy the magnificent structure, TELACU decided to convert it into a restaurant. It has become a very popular community gathering place where celebrations of all kinds are held – from birthdays to weddings, anniversaries and political events. The challenge of naming the restaurant provided an excellent opportunity to further enhance the beauty and cultural impact of the establishment. Remembering the great Maestro Rufino Tamayo, whom he had met a few years earlier, Lizárraga traveled to The Maestro’s home in the San Angel District of Mexico City to request permission to name the restaurant Tamayo. A humble Indian from Oaxaca, who had become one of the great painters of Mexico – along with his contemporaries Siquieros, Orozco and Diego Rivera – when presented with TELACU’s mission of empowering the Latino community through economic development, Maestro Tamayo made a magnanimous gesture. “In Mexico City there is a famous restaurant called Picasso, and in East Los Angeles there will be a famous restaurant called Tamayo,” he responded. He also generously donated many of his famous works now proudly displayed in places of honor within the restaurant. As the business woman of the family and protective guard of her husband’s legacy, his wife Olga supported his decisions with one proviso: that her Oaxacan recipe for mole always be included on the menu. For many years before his death, The Maestro and Olga would stop by unannounced to taste and verify the integrity of her recipe. To this day, her creation remains one of the restaurant’s most popular dishes. It is our hope that you enjoy our unique combination of regional Mexican flavors, tastes and aromas, as well as contemporary adaptations of traditional Mexican cuisine, surrounded by an impressive display of original artwork, mixographias and tapestries that grace the walls of Tamayo. 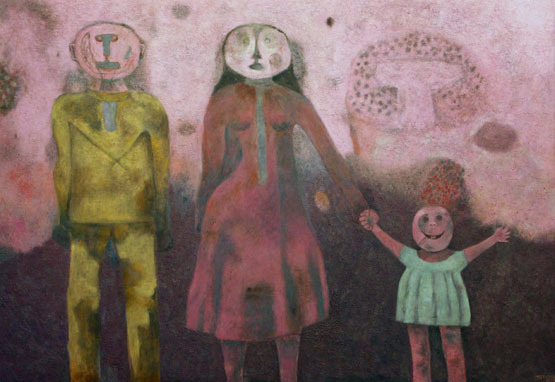 Rufino Tamayo (1899-1991) was a Zapotecan Indian born in the Mexican state of Oaxaca. He moved to México City where he attended the Escuela Nacional de Artes Plasticas “San Carlos.” Tamayo was exposed to the cultural wealth of pre-Colombian México as he worked as a draftsman at the Museo Nacional de Arqueologia. While his contemporaries Siqueiros, Rivera and Orozco were best known Latin American artists. 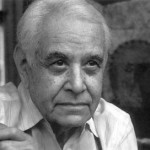 His exhibitions have been in museums such as advocating art with a message, often political, Tamayo’s work focused on plastic forms integrated with a masterful use of colors and textures. Tamayo participated in the development of “Mixografia®,” a graphic technique to obtain colored and textured three-dimensional print on handmade paper. He is one of the Museo Tamayo and the Palacio Nacional de Bellas Artes in México, The Phillips Collection in Washington DC, Guggenheim Museum in New York, and Museo Nacional Centro de Arte Reina Sofia in Madrid, as well as important art galleries throughout the world. To visit the Tamayo Restaurant Website, go to www.tamayo-la.com. Tamayo Restaurant, a Los Angeles cultural landmark, is TELACU’s contribution to celebrating the rich heritage of California’s Latino community.